If you follow us on any social media, you know we LOVE our client GrubSquad. Not only do they feed us with delicious local food, but they’ve become a great client over the past year. GrubSquad is a web-based platform that allows customers to place their order for delivery from their favorite local restaurants and have it delivered to their desired location. Ogo, founder of GrubSquad, came to us with the need to create a visual identity and design work for various print and web media, including a responsive web design. We were provided with a color scheme and a target audience of “Productivity Enthusiasts”. 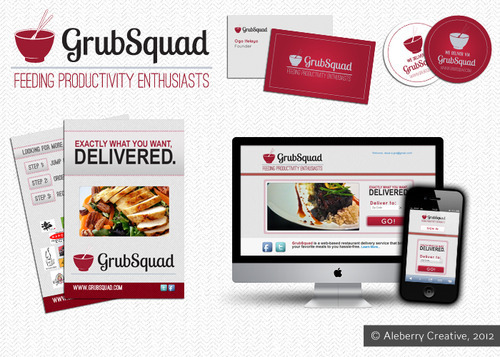 GrubSquad is a great client because they are passionate about solving a local problem in a cost-efficient manner. GrubSquad is starting to feed more and more Houston zipcodes. Check for their red sticker on restaurant doors.